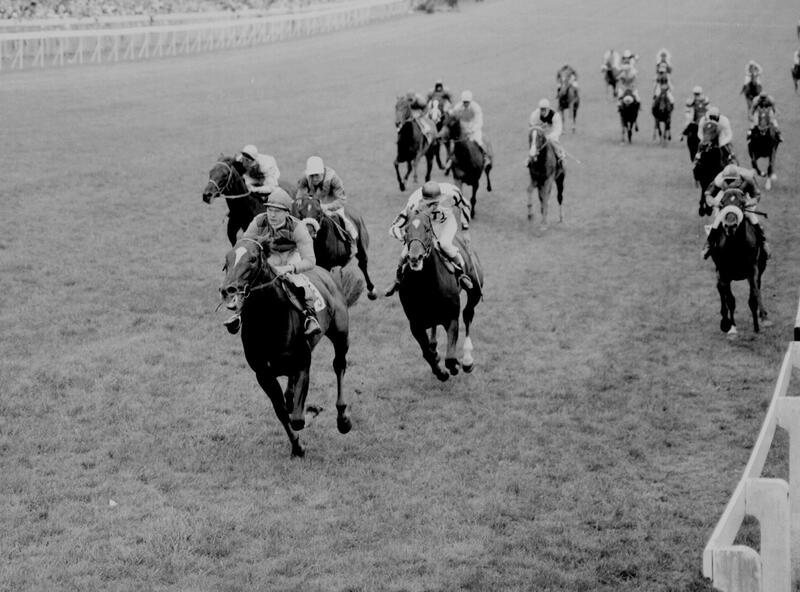 Hot favourite Crepello and jockey Lester Piggott proved an unbeatable combination in the 1957 Derby at Epsom. (Pic: Courtesy of Great British Racing). Sixteen horses go forward for the £1.325 million Investec Derby at Epsom on June 6 after the scratchings deadline today (Friday) for the Group 1 contest. Golden Horn heads the betting at 7-4 with Coral after his impressive win in the Betfred Dante Stakes at York last week. The John Gosden-trained colt is not currently entered in the Derby but it appears increasingly likely that connections will pay the £75,000 supplementary entry fee to add him to the field. At York Golden Horn maintained his unbeaten record when getting the better of stablemate Jack Hobbs and 2014 Racing Post Trophy winner Elm Park who are both set to reoppose. The five-day confirmation stage and £75,000 supplementary entry stage for the Investec Derby both take place on Monday, June 1. £1,325,000 Total Prize Fund. Group 1, 4.30pm, Saturday, June 6, 2015. 1 mile, 4 furlongs, 10 yards.